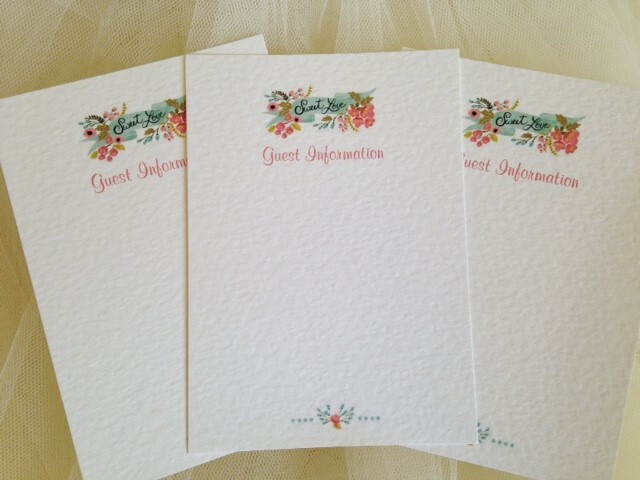 DIY Guest Information Cards for you to complete with your own details, these wedding invitations feature the attractive Sweet Love design. Luxurious heavyweight 270gsm hammered card in white or ivory. Sold in packs of 20 for £5.99 per pack. At checkout select number of packs required. Sold in Packs of 20 for £5.99 per pack.